Spinoff Online posted some great pictures today from the set of THE AVENGERS, showing Chris Evans (a.k.a. Captain America) on top of a car fighting an actor in a motion capture suit. If you look behind him, you can see another actor in an MCS, which raises the question: who are these secret villains? If you’ve followed the production for THE AVENGERS, you’ll remember that early on there was a rumor that the Skrulls, a shapeshifting race of extraterrestrials, would be the villains of the movie, along with Thor’s half-brother, Loki. 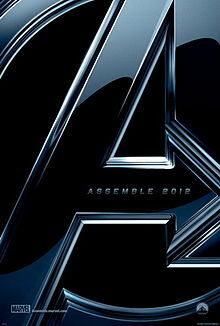 It was said that Loki would use the cosmic cube (as seen in CAPTAIN AMERICA: THE FIRST AVENGER and the post-credits of THOR) to summon the Skrulls to Earth, and thus causing the Avengers to be assembled. While some had previously dismissed this notion, these new photos seem to reignite that theory. Besides the fact that Evans is fighting actors in motion capture suits, the photo of him holding a mysterious object seems to lend credence to the idea that the Avengers will be fighting an extraterrestrial threat. This notion is further bolstered by this bite from a report on Cleveland.com: A person close to the filming confirmed a long-held belief that the villains in the film — besides Thor’s evil half-brother, Loki — are the shape-changing aliens, The Skrulls, who have been perennial villains in the Marvel Universe since 1961. If true, I think this sounds pretty sick. It’ll be interesting to see what the Skrulls look like and how Joss Whedon pulls it off in the context of the Marvel Universe. Check out the pics below, courtesy of Spinoff Online and The Cleveland Plain Dealer!